Qualcomm has sent out press invites for an event in Beijing on May 9, where they are preparing to launch the mid-range Snapdragon 660 chipset. 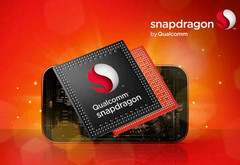 Qualcomm has just announced that they will be unveiling the midrange Snapdragon 660 chipset on May 9 at a media event in Beijing. Launch invitations were recently sent out to various members of the press informing them of the event and location. The Snapdragon 660 is expected to offer specs similar to last year’s Snapdragon 820 CPU, which means mid-range Android phones in 2017 will offer performance comparable to high-end smartphones in 2016. Based on various reports and rumored specs of the Snapdragon 660, it’s a 14nm chipset featuring X10 LTE modem and Quick Charge 4.0 support. It may also be powered by two Kryo cores with quad-core Cortex A73 processors @ 2.2 GHz and quad-core Cortex A53 processors @ 1.9 GHz. The chipset will likely come with Adreno 512 graphics and offer two-channel LPDDR4X-1866 MHz RAM and UFS 2.1 flash memory. The chipset will be designed for more affordable phones such as the Samsung C series phone, Xiaomi Redmi Pro 2, Mi Max 2, Oppo R11, Vivo X9s Plus and Nokia 7/8.